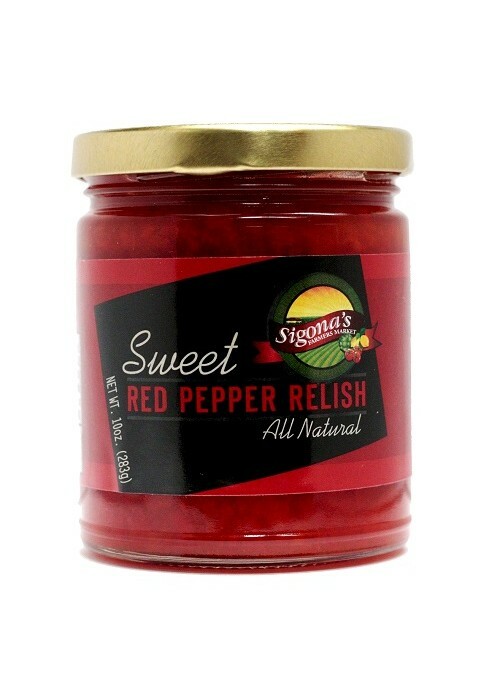 Our Sigona's sweet red pepper relish is one of Sigona's most popular treats. It's delightful mixed with cream cheese and spread on crackers or used as a glaze for pork and chicken. And it makes a fabulous gift, too!